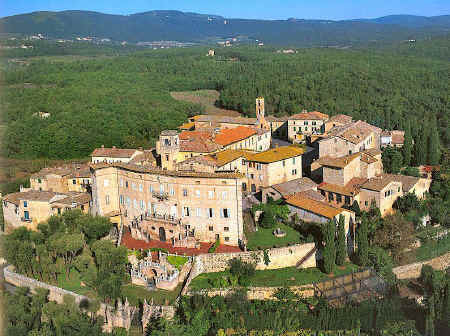 Sovicille is located in the eastern part of the Sienese Montagnola in the Val di Merse, an area of lush forest and mediaeval villages 12 km from the centre of Sienna, and has played a remarkable role in the history of Republic of Sienna. 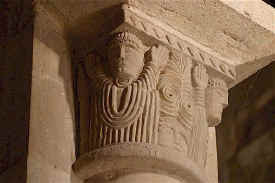 One of the main monuments of the Sovicille area is the Pieve di San Giovanni Battista (Parish Church Ponte allo Spino - dedicated to John the Baptist), a romanesque structure with three naves located close to the remains of a gothic cloister, the Hermitage of Rosia. 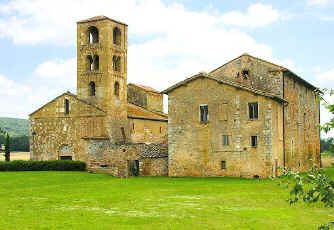 The church is better known as the "Pieve di Ponte allo Spino" and was originally built in the second half of the 12 C by Vallambrosan monks and shows many similarities with contemporary French architecture. It would be difficult to name all the castles, palaces, small churches, the tower-houses, the historical settlements spread in Sovicille area, from the tangle of forests of the Montagnola up to the valleys (Montarrenti, Palazzo al Piano, Brenna, Tonni and then San Gimignano, San Giusto a Balli, Pernina and many others). Each one is worth visiting not only for the countryside but also because of the history of the land and the people living here. There are several occupied and also ruined Augustinian monasteries in the area, most notably the Hermitage and Monastery of Lecceto. Last but not least is the River Merse, one of the most beautiful of this region, and the Farma stream, flowing through a very interesting natural area. They are visited all year round by fishermen and, in summer, by tourists looking for a pleasant place to bathe. 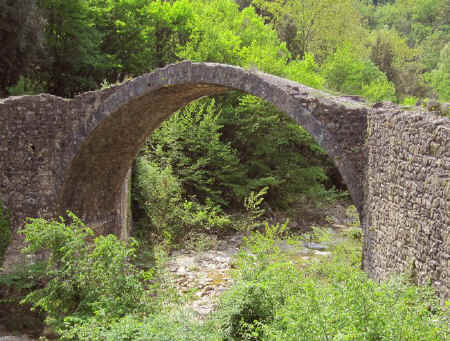 The territory of the municipality of Sovicille is also the location of springs near Pieve di Molli, the source of the River Elsa that flows northwards into the Arno and forms the famous Val d'Elsa. 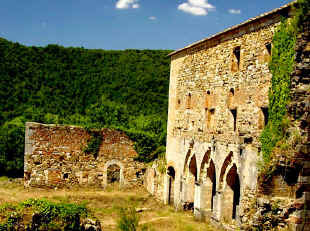 In addition, about 35 km to the south west, is one of the most famous sights in Tuscany, the ruined Cisterician Abbey of San Galgano. 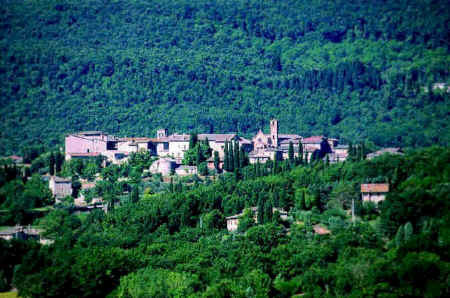 30 minutes south of Sovicille - stay among the authentic Tuscans! 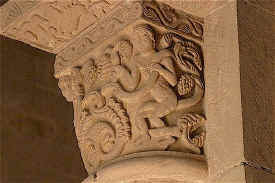 Two vacation apartments in Torniella, convenient to Massa Marittima, Galgano and Siena. Click here for info about Casa Reasco - holiday apartments for 2 to 12 persons. Do you prefer the security of booking your vacation rental accommodations via a highly reputable agency? Click here for a selection of the best hotels and rural vacation accommodations in the Val d'Orcia of Tuscany. Rent a Tuscan farm house or village apartment for less than the price of a small hotel room. Click here for a large selection of beautiful farm vacation accommodations in Chianti, plus all you need to know about Chianti. Sovicille © ammonet InfoTech 2005 - 2018 All rights reserved.